We thank you for your continued loyalty and support, and understand that there may be instances where you have to return a product(s) to us. The product(s) have been purchased within 120 days. The product(s) are in their original packaging, in like-new condition. The product(s) have been sent to us with a completed Return Form. As long as these standards have been met, we will gladly refund your purchase price to the corresponding credit card use to make the purchase. You (purchaser) are responsible for any/all charges necessary for shipping your product(s) back to Ed Roehr Safety, unless Ed Roehr Safety declares we made the error and chooses to cover the shipping charges. We do encourage you to use a service that allows tracking and insurance of your shipment. Ed Roehr Safety Products Co. is not responsible for lost/stolen/damaged product(s) that is/are in transit. Returns sent to us WITHOUT an authorization number will not be accepted. Please note that some product(s), even if they do not meet the listed standards, could/can be returned at OUR discretion, minus a 20% Restocking Fee. We apologize, but any product(s) that has been purchased from Ed Roehr and has been altered, customized, and/or changed in any way cannot be returned. However, this/these product(s) may qualify for an exchange and you should call us for qualification. 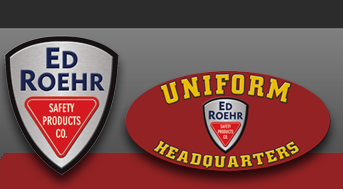 Ed Roehr Safety Products Co. reserves the right to refuse any return for any reason, be it deemed necessary.